AAMEENA WOMENS WELFARE AND EDUCATIONAL TRUST is located in SANKARAPURAM Tamil Nadu . AAMEENA WOMENS WELFARE AND EDUCATIONAL TRUST is registered as a Trust at SANKARAPURAM of state Tamil Nadu with Ngo unique registration ID 'TN/2009/0016849' . 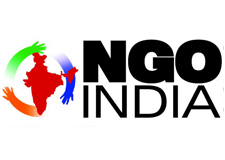 The NGO registration is done by Sub-Registrar with registration number 63/2002 on the date of 29-08-2002, Its parent ORganaisation is PaulFoundation. The Chairman of AAMEENA WOMENS WELFARE AND EDUCATIONAL TRUST is MRS FATHIMA HUSSAIN and Chief functionary officer is MRS FATHIMA HUSSAIN. Promoters are MOHAMADHABEE, NIZAR, DEVARANI,BALAMANI.